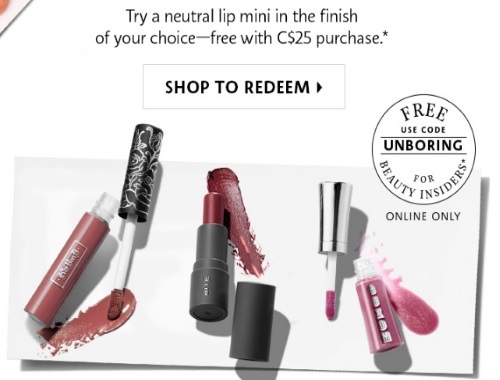 Sephora is offering a new freebie! Get a Free Neutral Lip Mini with any online order of $25 or more. Enter the promo cod UNBORING at checkout. Offer is valid for a limited time. We also posted a Free Perfume Sampler bag offer here, click here to check it out.